This one seems to have gone under our radar somewhat, but we've just spotted that Bitspower has released a full-cover waterblock for ASRock's ASRock's X99E-ITX/ac mini-ITX motherboard. As you may remember from our review of the motherboard a few months ago, it used a narrow CPU socket mount that meant it had quite restricted compatibility when it came to CPU coolers and waterblocks. As such, ASRock bundled a cooler with the motherboard along with a bracket that was compatible with certain AIO coolers. EKWB also apparently offered a kit that allowed some of its waterblocks to be compatible with the board too. 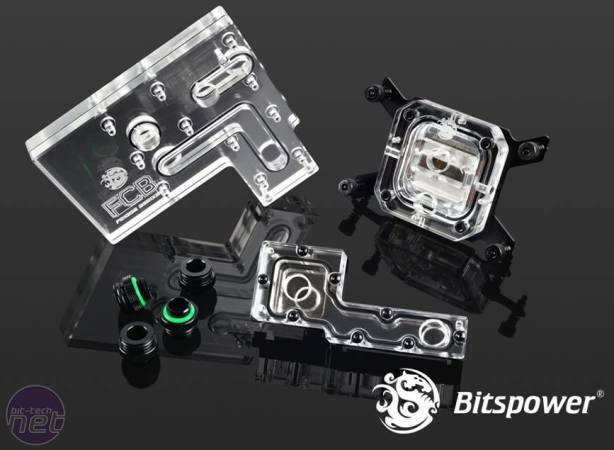 However, Bitspower has gone one better and has released a full-cover waterblock for the X99E-ITX/ac, which cools the CPU and chipset using separate waterblocks linked together using an acrylic link that sits on top. It's a similar design to the company's other full-cover waterblocks and the CPU waterblock section screws straight to the X99E-ITX/ac's CPU socket mount too. You can see the official product webpage here along with the instruction manual. There's no word on pricing or availability yet, but we'll update this article when we here back from Bitspower.